This bracelet is made with baleen and new ivory (walrus tusk). The contrast of black and white is striking. The bracelet has an inside circumference of about 6 1/4 inches. 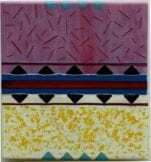 It is approximately 3/4 inch wide. Please note that products containing ivory or other marine mammal components cannot be shipped to New York, New Jersey, or California. As of this writing, it is still legal to ship these products to all other states. Click here to see a brochure published by the U.S. Department of the Interior with more details on this topic. Antique Eskimo Ivory Seal Toggle A charming ivory toggle, dating to the 19th century or earlier, representing a seal effigy. Primitively carved, showing marks of use and a beautiful patina of age. 1 5/8 in. long x 5/8 in. high x 3/8 in. w Please note that products containing any ivory or other marine mammal components cannot be shipped to New York or California. As of this writing, it is still legal to ship these products to all other states. Click here to see a brochure published by the U.S. Department of the Interior with more details on this topic. If you are interested in having this product shipped outside the United States, please call 207 967-2122 to discuss permit requirements. 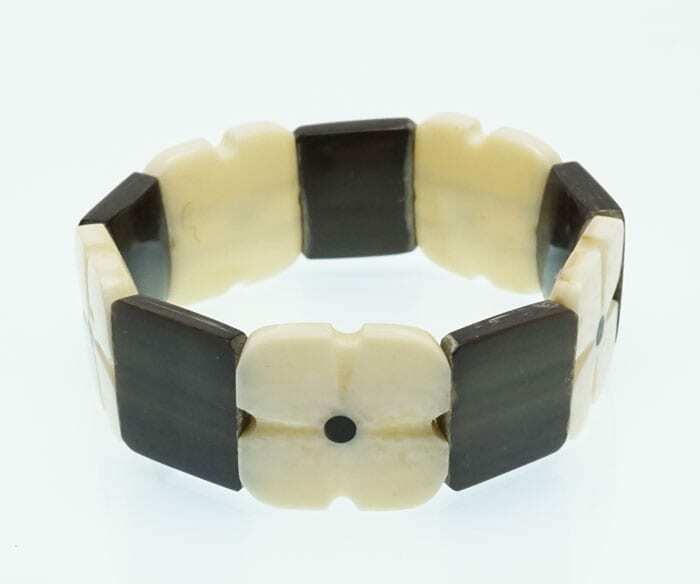 J Eningowuk Ivory Bracelet This bracelet is made with a combination of old and new ivory (walrus tusk). 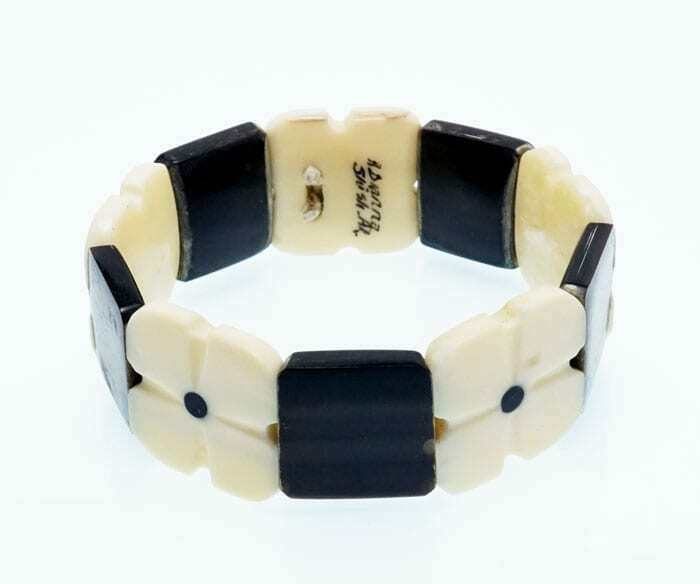 The main body of the bracelet is new ivory and the oval tablets are old ivory. It's difficult to see the richness of the colors in the oval tablets in the digital photos; they are much nicer in person. The bracelet has an inside circumference of about 6 1/4 inches. It is approximately 1 inch wide. J Eningowuk could be Johnson Enigowuk; c. 2002 Please note that products containing ivory or other marine mammal components cannot be shipped to New York, New Jersey, or California. As of this writing, it is still legal to ship these products to all other states. Click here to see a brochure published by the U.S. Department of the Interior with more details on this topic. If you are interested in having this product shipped outside the United States, please call 207 967-2122 to discuss permit requirements.